Well, after a couple of years of wanting to get this tractor, it finally happened. But I never dreamed it would be so nice! It's too nice to put to work! This is my sweetie's Father's Day present to me! She let me pick my own, and this is what I chose. I never dreamed I'd own a red square nose, but I love it! And, it has so much more power and pep than my 50 does. 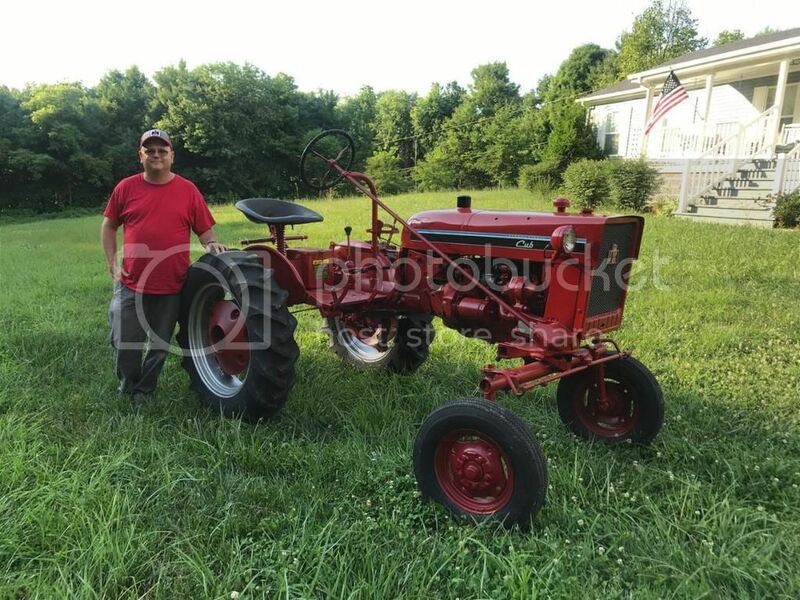 My compliments go out to forum member Jim Reid for doing an excellent job with this tractor. He deserves all the credit for the job he did making this thing into a beautiful and functional tractor. I sure did get some looks bringing it home! Don McCombs wrote: Looks great! Great story and Terrific tractor! 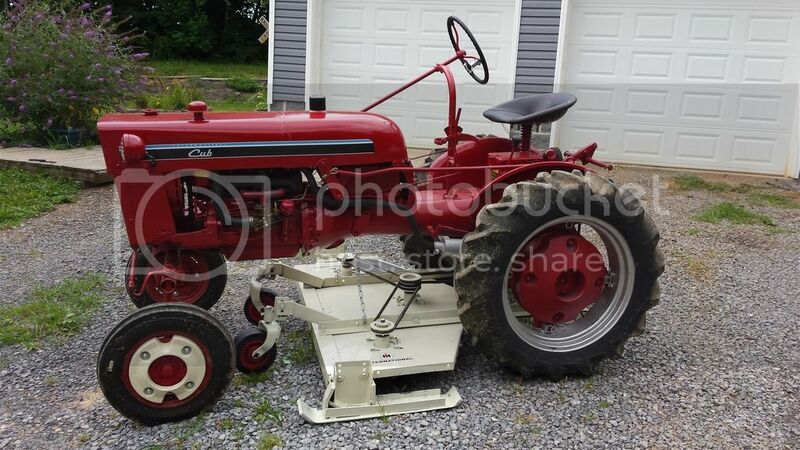 Tractors Owned: 55 Cub with a IH / Danco C3 deck , Mott flail mower, IH 54 blade . What a beautiful machine . Thank you everyone for the compliments. Once again, I have to give Jim Reid the credit for doing an outstanding job on this tractor. It has performed flawlessly since I got it. I also rebuilt my International C3 mower to match it. It used to be red, and roared terribly bad when it was engaged. So, I rebuilt the spindles, sharpened and balanced the blades, and gave it a paint job and decals. So now, this is what the 77 looks like at the moment. I also bought a set of front wheel weights and put them on it as well. Nice looking tractor. Good job on the mower too.